Small square boards are an excellent upgrade from our small square mats. Made of 60 point chipboard and printed on both sides. 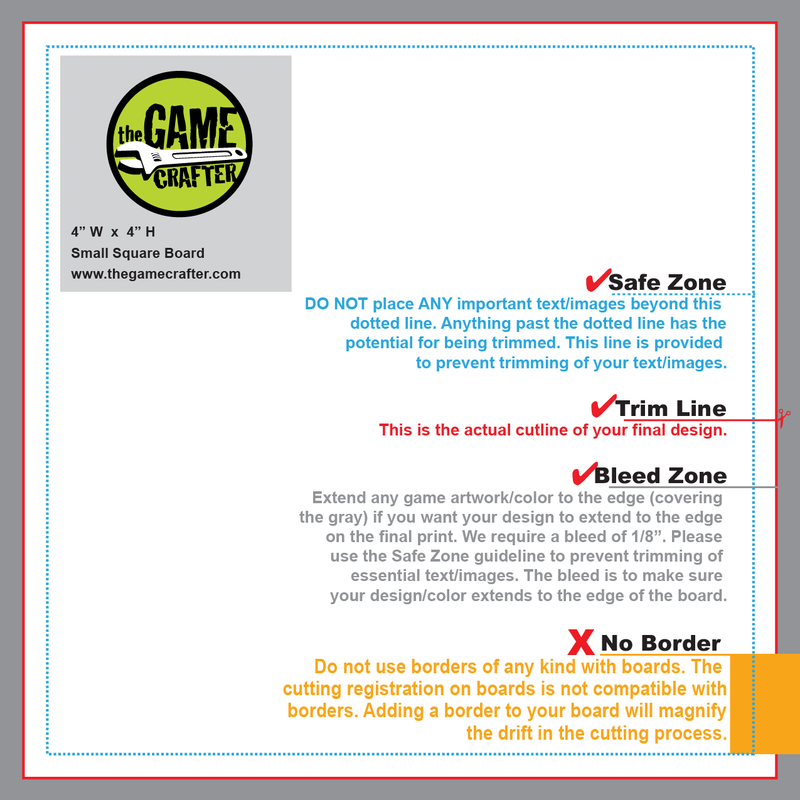 Small square boards should not have a border.